The Surprising Adventures of Baron Munchausen (or Baron Münchhausen's Narrative of his Marvellous Travels) by Rudolf Erich Raspe —is a collection of tall tales published in 1785, based on the German adventurer Karl Friedrich von Münchhausen. The tales were adapted and re-published in German by Gottfried August Bürger in 1786 as Wunderbare Reisen zu Wasser und zu Lande, Feldzüge und lustige Abenteuer des Freyherrn von Münchhausen. 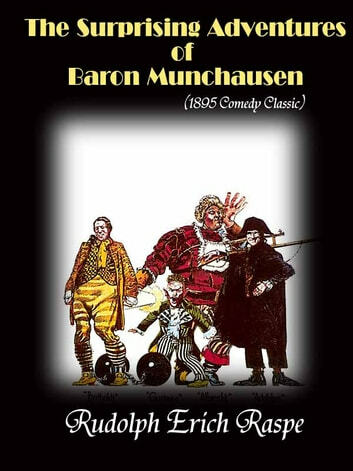 The stories were made into films in 1911 (Les Aventures du baron de Münchhausen), 1943 (Münchhausen, script by Erich Kästner), and 1961 (Baron Prášil by director Karel Zeman). His most famous adventures feature in a 1979 film The Very Same Munchhausen by Russian director Mark Zakharov, which depicts Münchhausen as a tragic character, struggling against the conformity and hypocrisy of the world around him.